Hiding a menu item means that customers will no longer be able to see or order this item. 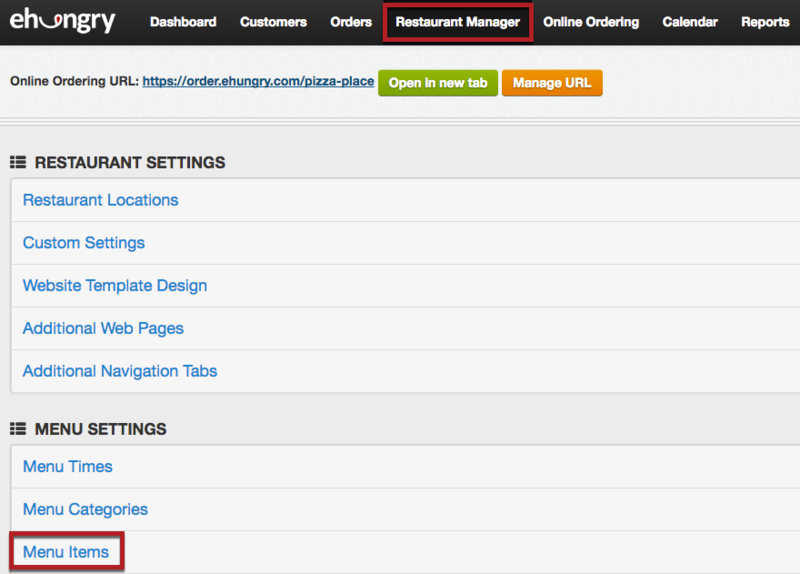 In your Online Ordering Console, you can hide a menu item by selecting "Restaurant Manager" from the main menu, and then selecting "Menu Items" under the "MENU SETTINGS" heading. Locate the menu item you wish to hide and click the green Shown button next to it. The button will turn red and say Hidden. If you want to show an item again in the future, click the Hidden button and it will change back to Shown.